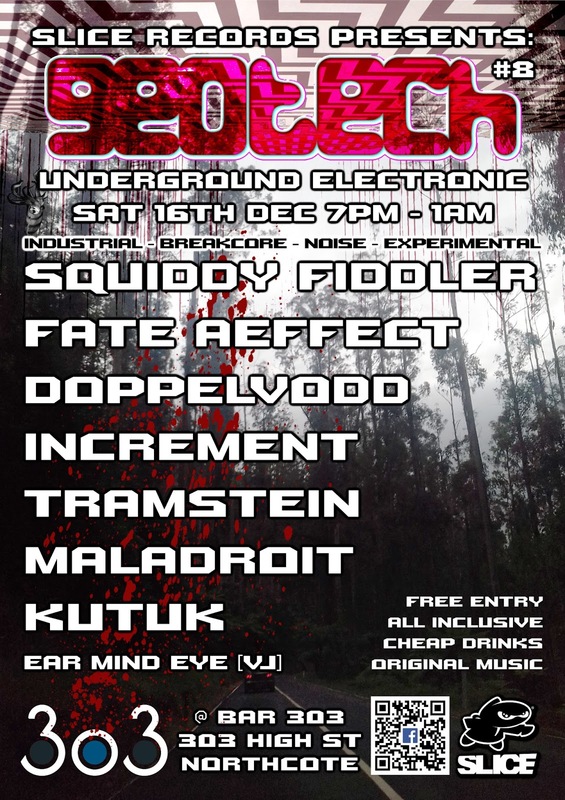 'Geotech' events are for punters and artists alike that showcase quality original electronic music from local talent. We focus on underground, original, lesser heard music by established and emerging artists. We keep lineups and production creative, maintain free entry, pay artists, are community oriented and have an all inclusive attitude. 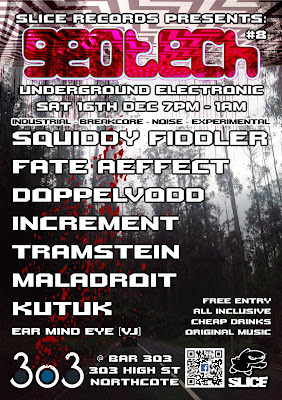 We want to grow and foster our local underground electronic music and art scene Northside though these events, as well as collaborating with other crews and artists. We aim (with your support) to continue these monthly nights (& more) well into the summer and beyond. 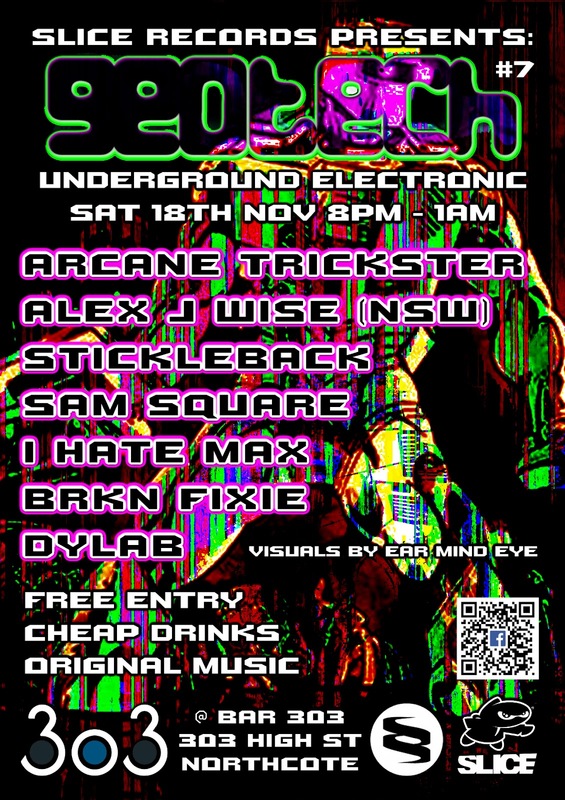 The next instalment of our monthly Underground Electronic Music events, ‘Geotech’, is at Bar 303 on Saturday the 18th of November. 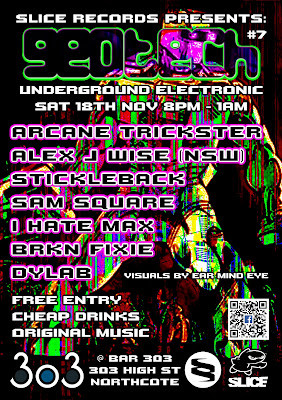 It will feature live and all-original music from Melbourne artists (plus one from interstate) on Bar 303’s newly updated sound system, alongside surreal and subversive visuals. Come enjoy an evening in the comfortable surrounds of Bar 303 to experience great original electronic music and support local artists!